It might be April, but Winter is upon us. That’s right, the final season of Game of Thrones begins in a few days. 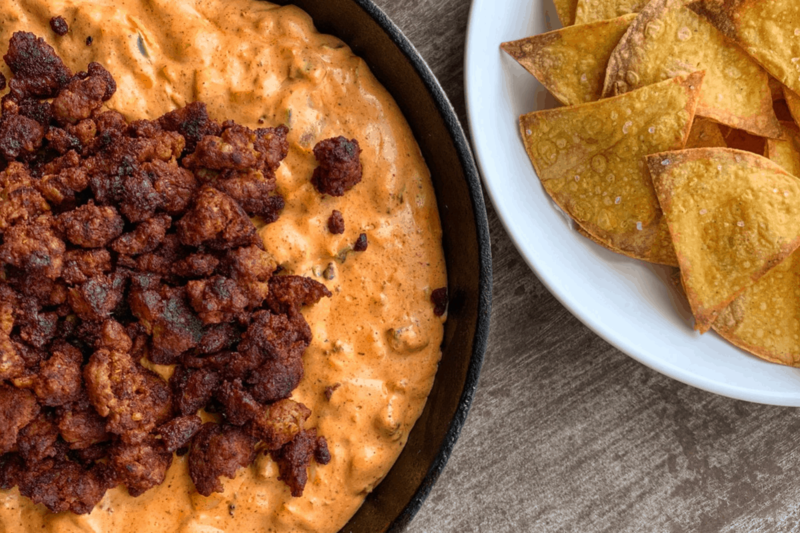 This chorizo dip would be perfect for a watch party or for sitting around by yourself telling anyone you don’t watch Game of Thrones. Each serving has 16 grams of protein and just 9 grams of fat. 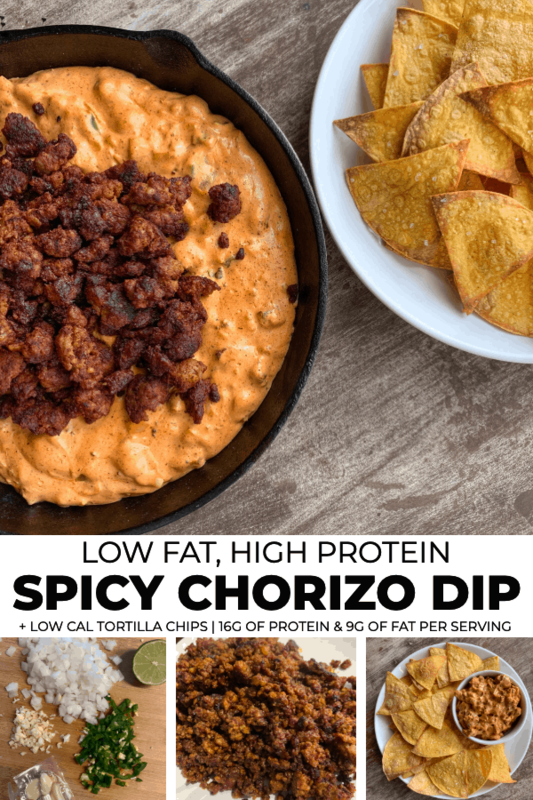 Pair this recipe with my low calorie tortilla chips and you can really get to dippin’ guilt free. Let’s do a quick rundown of everything you’ll need. I’ll briefly touch on modifications or substitutions as we go. 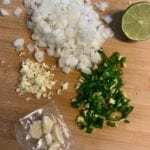 Since the cheese dip portion of the recipe incorporates jalapeño, garlic, and onion, the spice blend is a bit shorter than the original nachos chorizo blend. And then one magical ingredient—cheddar powder. What in the world is cheddar powder? Think:powdered peanut butter. 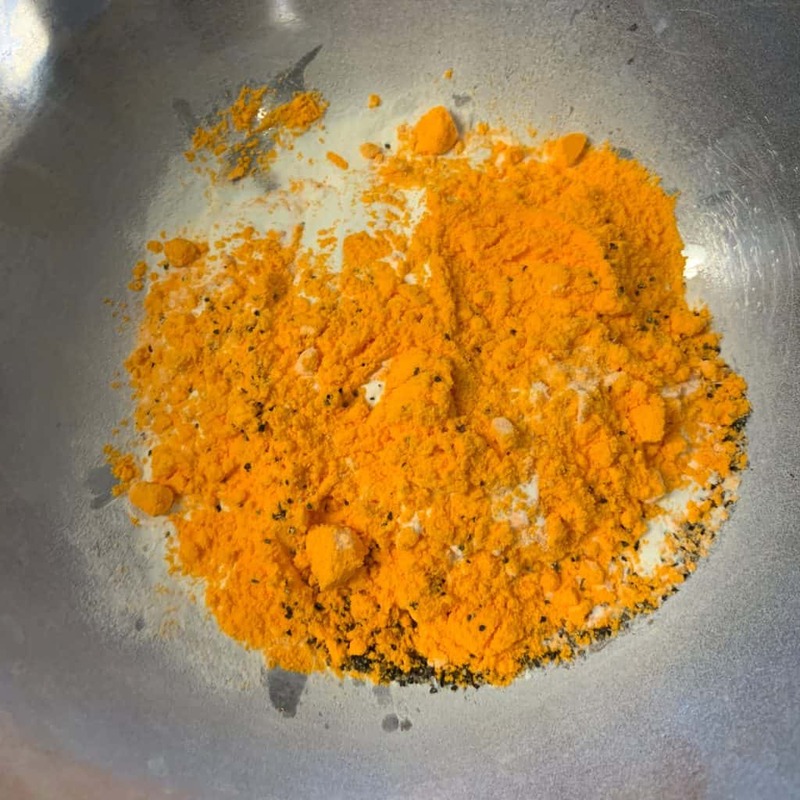 It’s essentially dehydrated cheddar cheese in powder form that can be reconstituted for cheese sauce or added straight to things like popcorn or chips for cheddar flavor. Similar to powdered peanut butter, this process removes most of the fat and you’re left with a much lower calorie option. You’re able to get tons of cheddar flavor without the calories of adding real cheese. For my recipes, I use Hoosier Hill Farms or Anthony’s. You can find both on my Amazon products list. My go-to chip for any dip or nachos recipe is a simple one—extra thin corn tortillas baked or air fried with a bit of salt and lime juice. That’s it! You can make an entire baking sheet worth of chips for just 250 calories. Every now and then, I slip up and start eating a dish before I can get the weight for serving sizes. I’m only human! So, you’ll notice this recipe has 8 servings but no measurements for serving sizes. 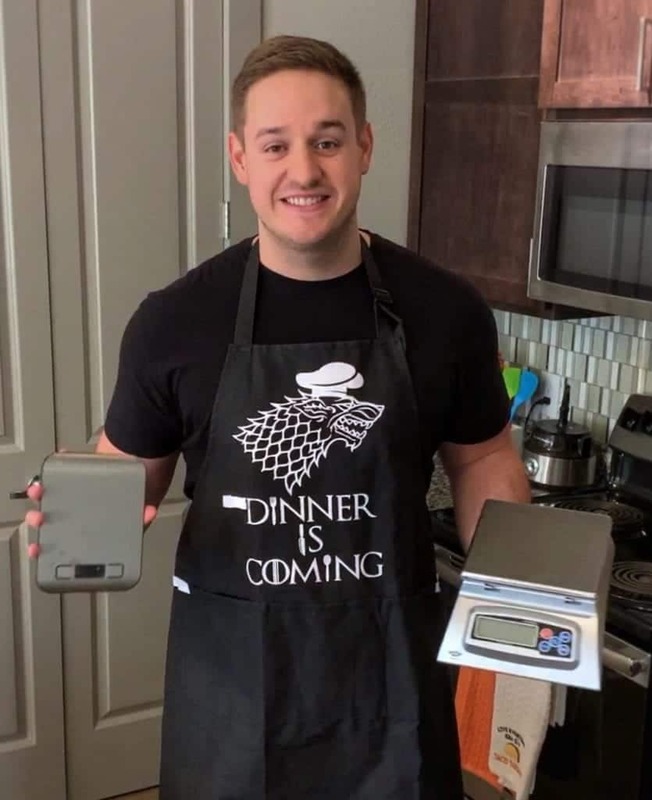 If you’re unfamiliar with the process for weighing a recipe to determine your own serving sizes, check out my guide to using a food scale for tracking macros. Coming full circle with the Game of Thrones apron. That’s about it! 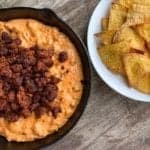 Be sure to let me know your thoughts on this chorizo dip. Take a photo of your creation and tag me on Instagram @mason_woodruff. Or you can join my free Facebook group and share it with the Proton Party. 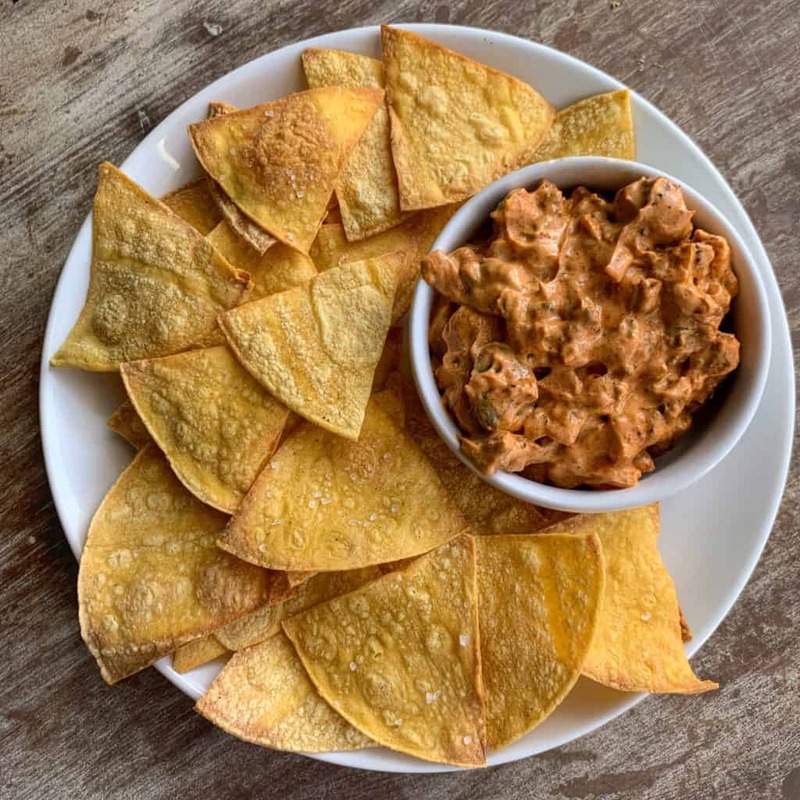 Spicy, cheesy chorizo dip with low calorie tortilla chips. Add the sausage to a large skillet over medium high heat. While the sausage cooks, dice the onion, jalapeño, and garlic. Set aside. 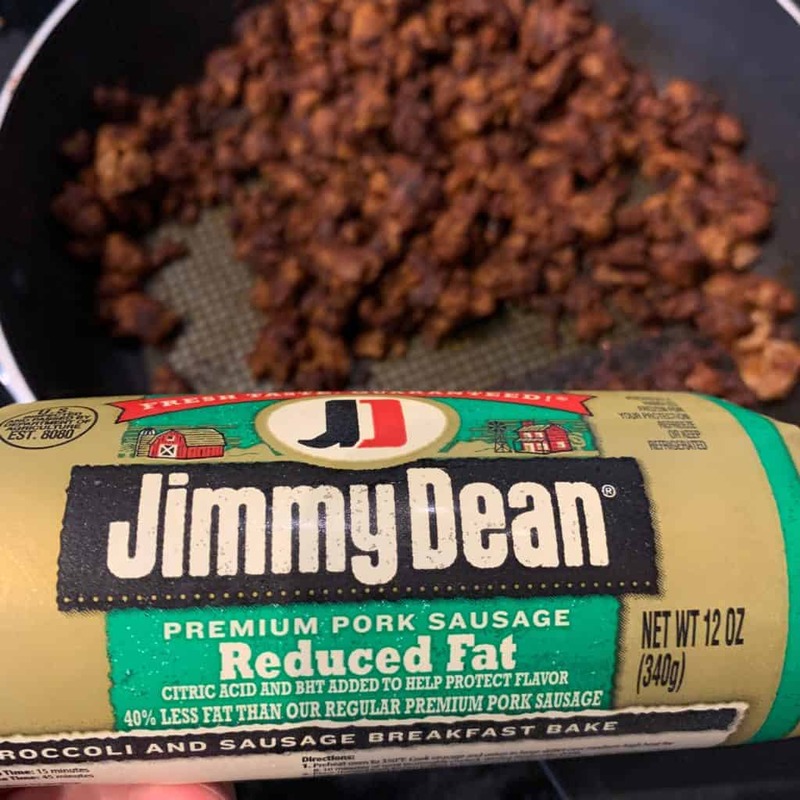 When the sausage is fully cooked, reduce the heat to medium before adding the paprika, chili powder, cumin, and juicing the limes over the sausage. Stir until everything is evenly mixed and the sausage is slightly crisp. Remove from the heat and set aside. 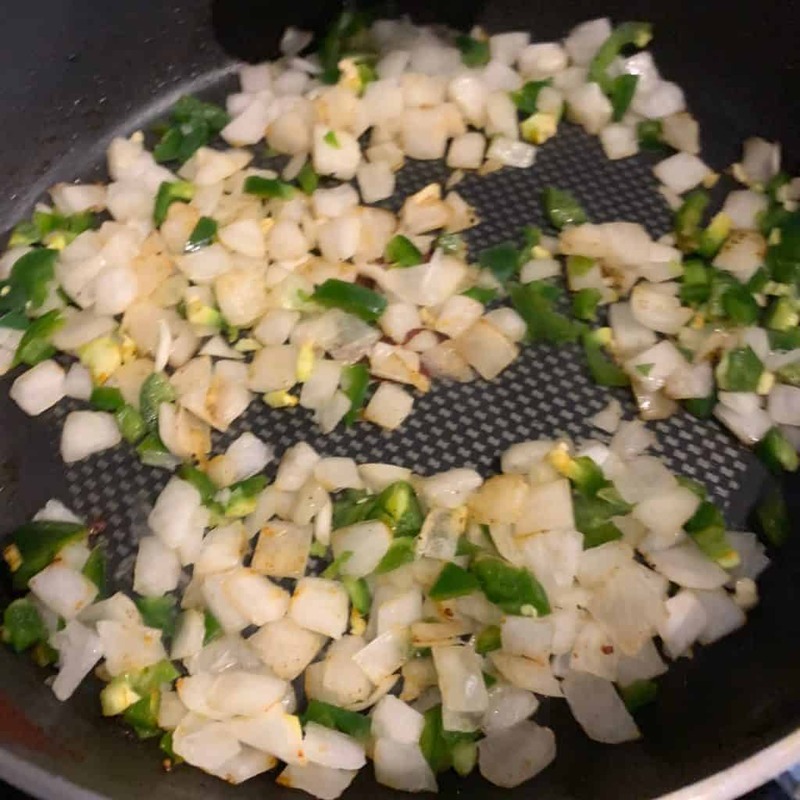 Add the onion and jalapeño to the skillet. Cook until both soften, about 3-5 minutes, before adding the garlic and cooking for an additional 30-60 seconds. Add the cream cheese, milk, and cheddar powder to the skillet with the veggies. Stir until everything is evenly mixed and the cream cheese is fully melted. Reduce the heat to low. Add the Greek yogurt and stir until smooth. Carefully add the chorizo to the cheese dip and stir well. Serve warm. 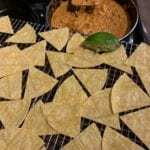 For the tortilla chips, cut 6 tortillas into triangles and cook on a wire rack or baking sheet for 7-10 minutes at 400F. Spray with a bit of cooking spray and sprinkle with salt and lime juice before baking, if desired. *The chorizo dip as-is will be on the thicker side. If you'd like a runnier dip, add 1/4 to 1/2 cup more milk. 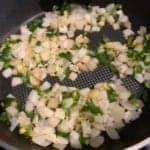 **If you're sensitive to spice, remove the jalapeño seeds before dicing. 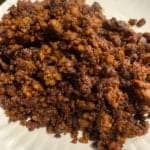 You may also want to reduce the chili powder in the chorizo itself. 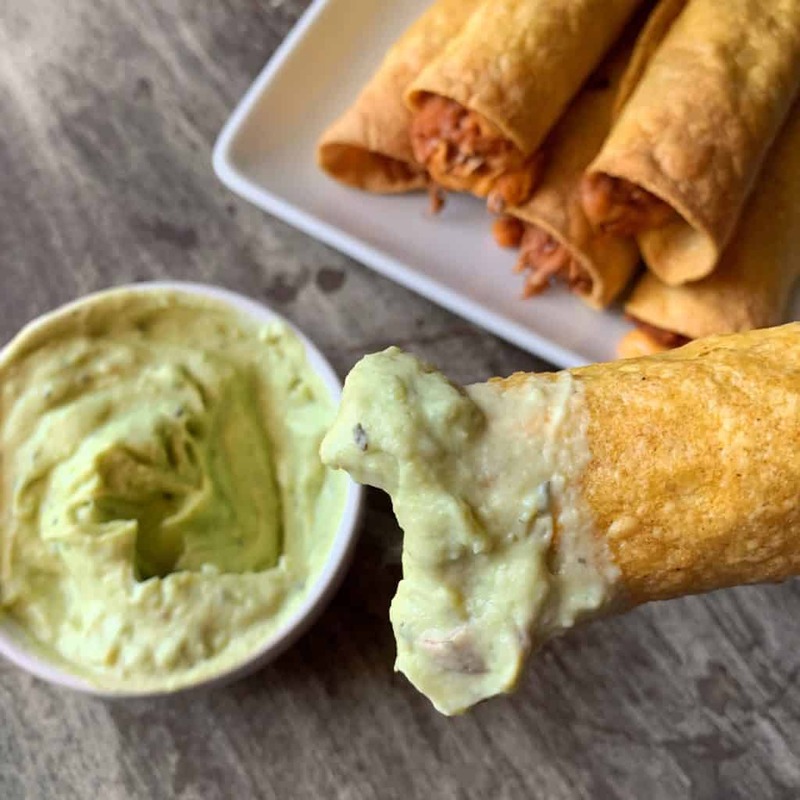 If you’re planning a get together, my air fryer taquitos are super easy to make and will feed a crowd. 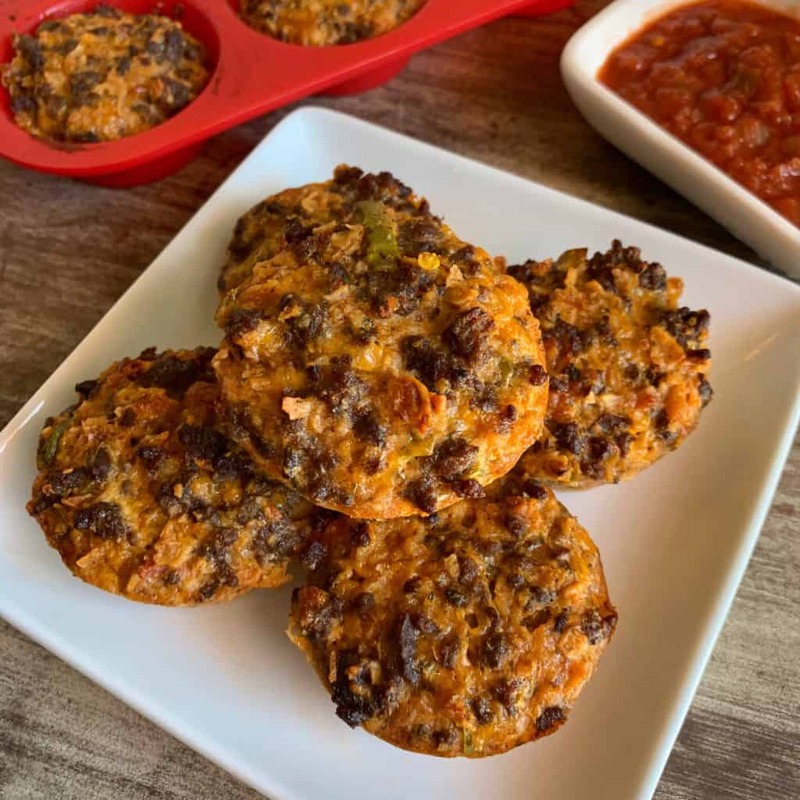 And another appetizer that could be flexed for meal prepping is my low carb taco bites recipe.